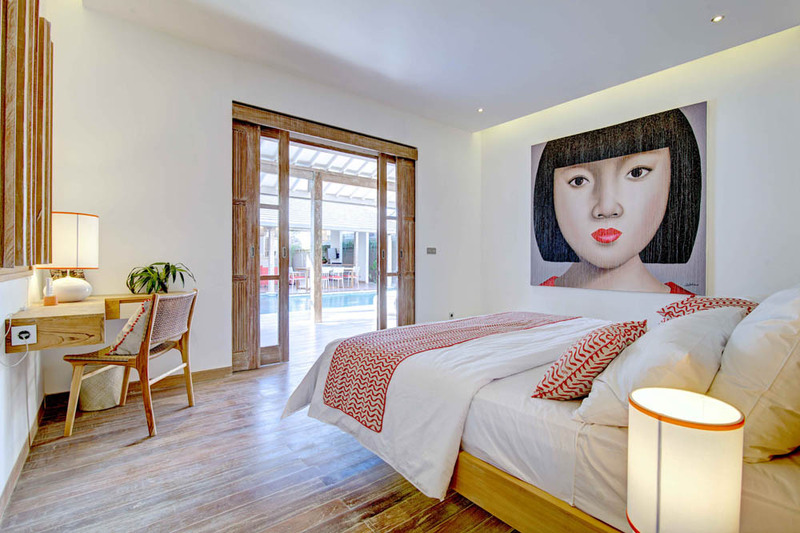 The luxury Villa TAO was built from the inspiration of a French couple who like contemporary/modern and luxury style. 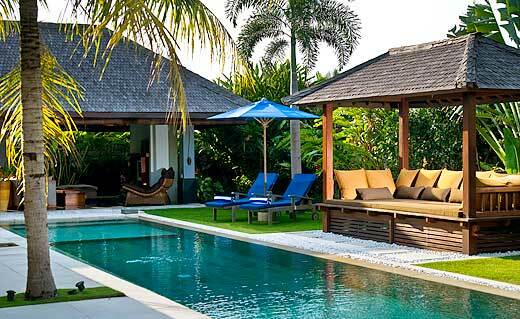 This selection of 3 bedrooms is located in a quiet street in Kerobokan nearby some rice fields. 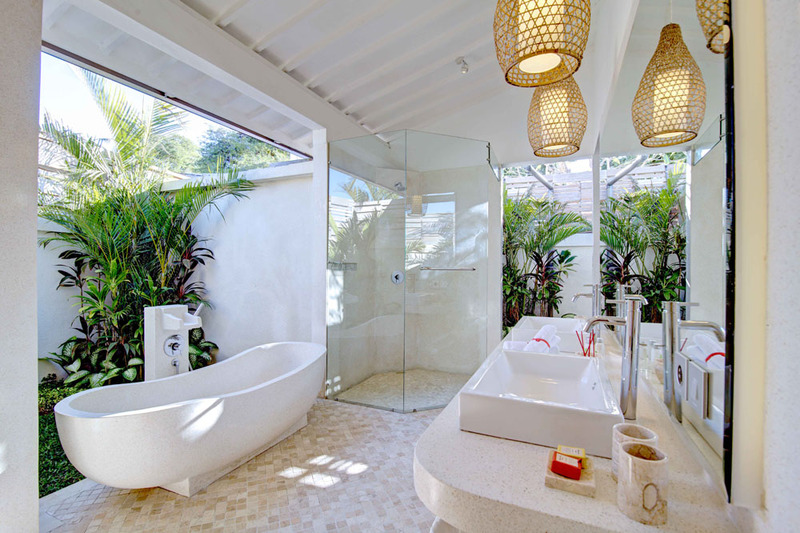 Its location is ideal as itâ€™s only at 5 minutes by scooter or taxi from Seminyak and Oberoi where many restaurants and trendy shops are. 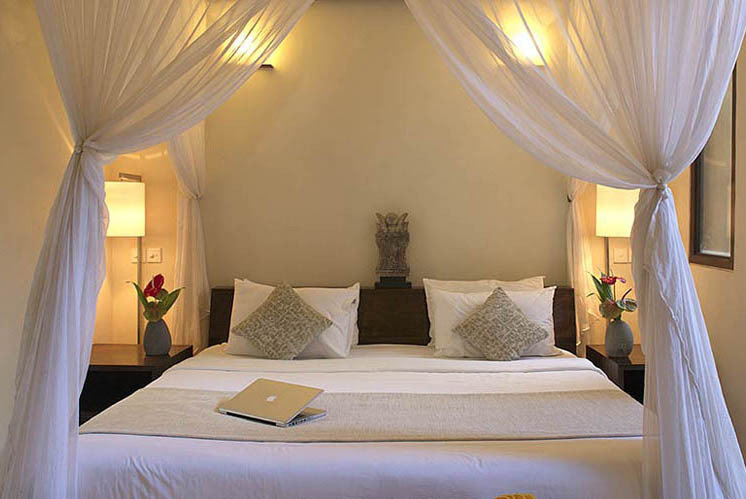 The famous place KU DE TA is only 7 minutes away. Arriving in the small path leading to the villa you will be surprised by the cleanliness and maintenance of this Balinese house. 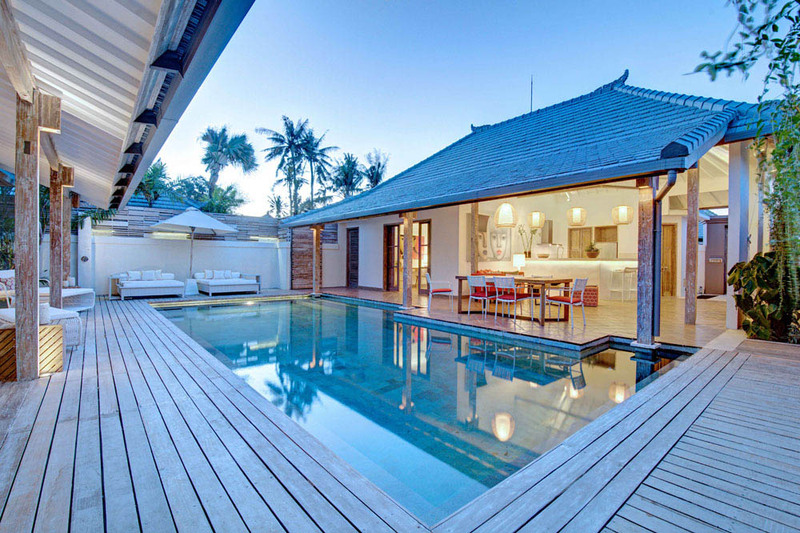 Entering in the house, you will be charmed by its style and dazzled by its huge pool. 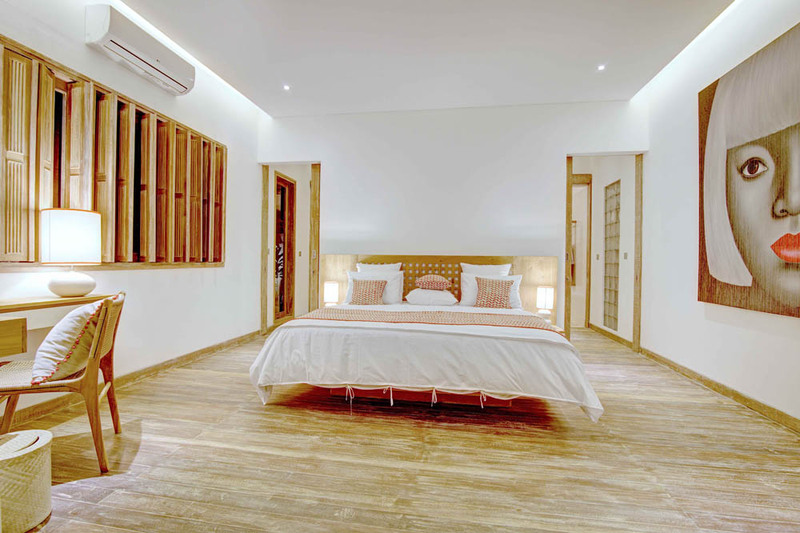 This property consists of 3 large bedrooms with king size bed (sheets changed every 4 days), private open-air bathroom, storage and air conditioning. 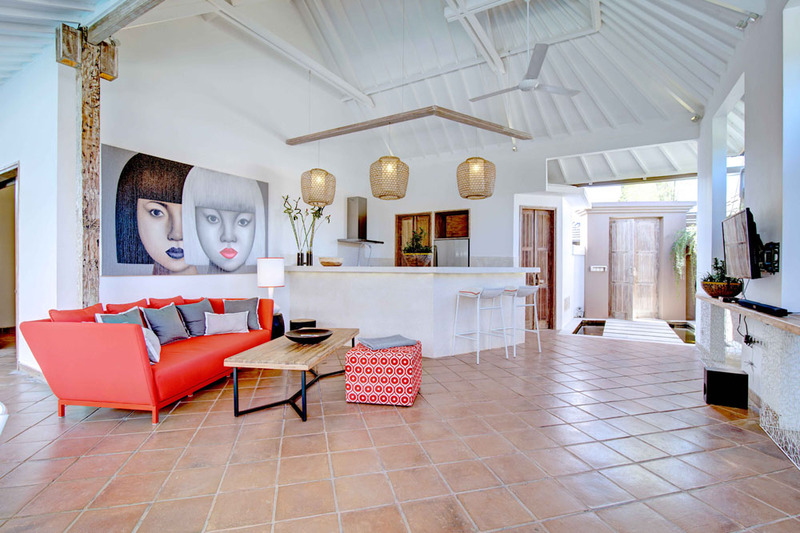 The villa is equipped with Wi-Fi and a plasma TV set up with international channels. 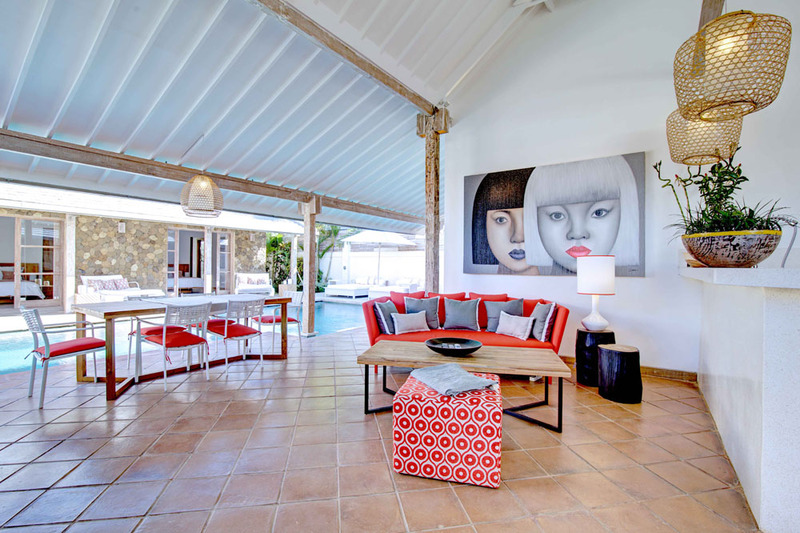 If you want to have a party (deposit required), the villa also has a sound system. 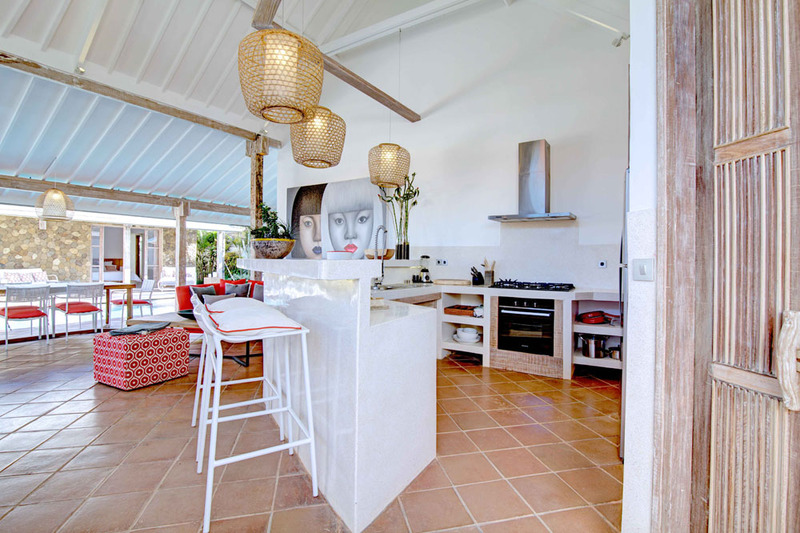 The fully equipped kitchen gives you the opportunity to cook. The common living space is open on the outside for a greater brightness. 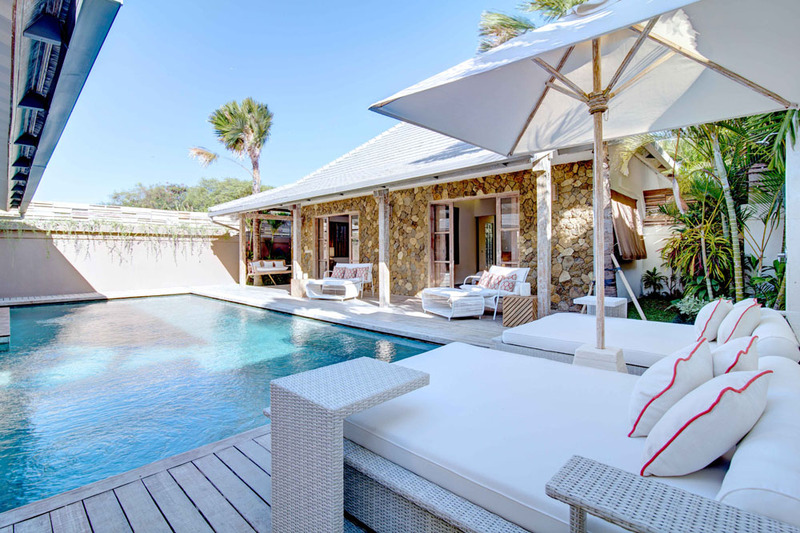 You will also enjoy the pool view as well as sundecks perfect to relax. The staff is helpful and friendly. 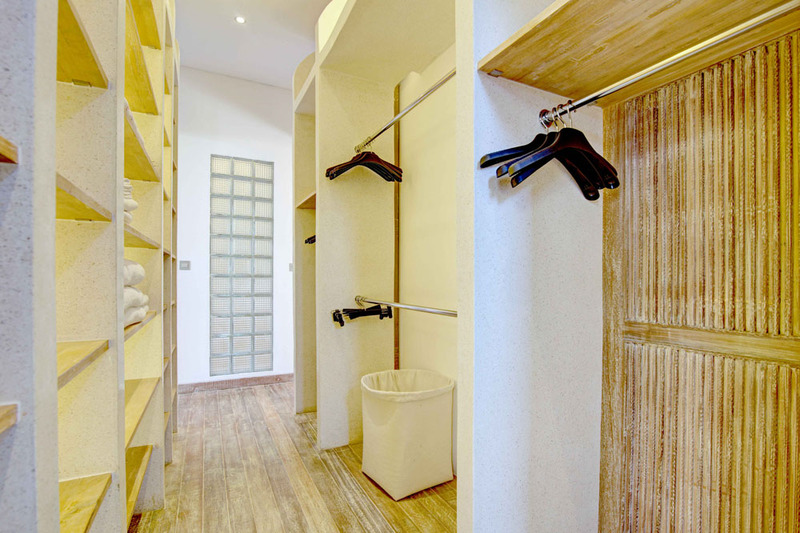 During your stay you get a full staff services including housekeeper, gardener and security guard 24h/24. With extra, you can also benefit of a driver and a cook. 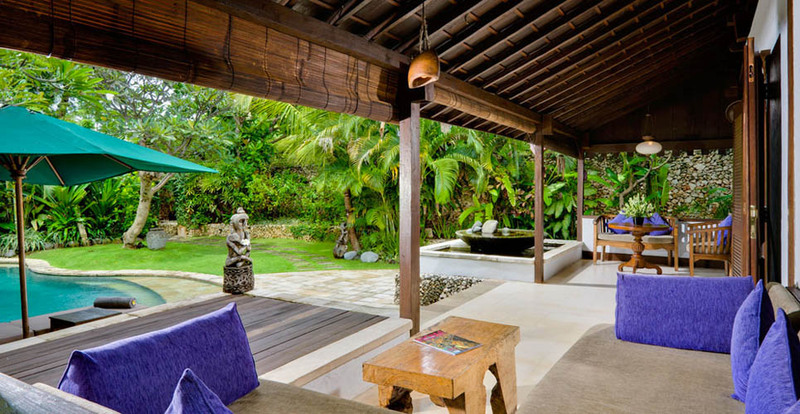 This villa in Bali is located 20 minutes from the airport by car, 5 minutes to all amenities (supermarkets, restaurants, shopping boutiques, night clubs and beaches). 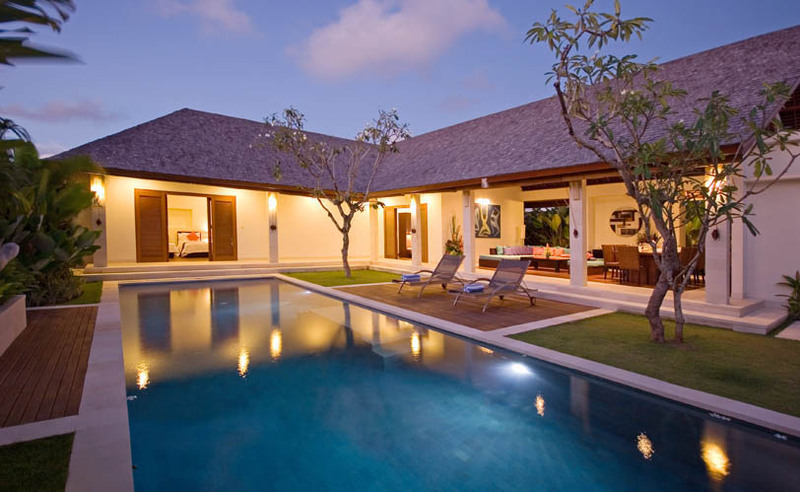 In order for you to visit the island, the agency can organizes for you, upon request, a car or scooter rental.